In the modern “gig” economy, a critical issue for access to labor rights comes down to how a worker is labeled. Is a worker an employee or an independent contractor? Recent data from the Bureau of Labor Statistics shows that approximately 15.5 million workers in the U.S. are categorized under “alternative” employment arrangements. A substantial category of these workers fall under the label of “independent contractors.” In 2017, independent contractors comprised 6.9 percent of the labor market.Alternative employment arrangements, which have been trending in the recent gig economy present dilemmas for both employers and workers, especially regarding the applicability of union regulations under the National Labor Relations Act (“NLRA”). This dilemma is enhanced by legal uncertainty of the National Labor Relations Board (“NLRB”) regarding worker-classification standards. In particular, two recent NLRB opinions alter and then reaffirm traditional common law factors used to determine if a worker is an independent contractor and exempt from NLRA coverage. A 2014 NLRB decision in FedEx Home Delivery, altered the common law test by weighing a variety of factors together rather than providing “extra” weight to the principle of entrepreneurial opportunity. However, in January of 2019, the NLRB once again switched how it weighs the various common law factors by overruling the FedEx decision in SuperShuttle DFW and then reverting back to the traditional test which viewed “entrepreneurial opportunity” as a principle rather than a simple factor in the overall analysis. The NLRB’s back-and-forth creates significant uncertainty for both employers and workers subject to NLRA regulations. The NLRB must pursue additional steps to clarify a modern worker-classification test in order to ensure consistent interpretation in a dramatically changing labor market. Formed during the sweeping economic regulations of the New Deal, the NLRB is tasked with defending and enforcing the NLRA. The NLRA broadly provides workers with the opportunity to organize and bargain collectively with employers in addition to protecting workers’ concerted activities to advocate for better working conditions.Through the NLRA, the NLRB functions as a forum to adjudicate claims of NLRA violations and unfair labor practices. Since the mid-twentieth century, the NLRB’s role in determining worker classification continues to expand. The term independent contractor is not defined within the NLRA and as a result, the NLRB traditionally applies an agency-law test for determining a worker’s classification. Some of the factors within this test include: (1) whether individuals perform functions that are an essential part of the employer’s normal operations; (2) whether there is a permanent working arrangement; and (3) whether the worker does business in the employer’s name with the employer’s assistance. Following the NLRB’s holding in FedEx Home Delivery, the new “independent-business” factor generated significant debate about whether the Board impermissibly deviated from the traditional common law test. Even NLRB members criticized the embrace of a rejected “economic dependency” test rather than the traditional “economic realities” test. After FedEx, the NLRB continued to adhere to its reasoning by examining worker-classification under the “independent business” analysis where actual entrepreneurial opportunities rather than mere theoretical opportunities function as a key element of the test. After FedEx Home Delivery, the NLRB once again reverted course in January of 2019 by returning to the common law test in place prior to FedEx. In SuperShuttle DFW, the majority of the NLRB, now appointed by President Trump, were deeply critical of the FedEx Board’s departure from the traditional common law test when tackling a worker-classification challenge for drivers of airport transportation workers. The NLRB criticized the new “independent-business” factor in FedEx and the diminished role that the entrepreneurial opportunity factor took after 2014. In SuperShuttle, the NLRB reverted back to the traditional test by affirming that the existence of entrepreneurial opportunity is more than just a factor of the worker-classification analysis and is instead, a “principle by which to evaluate the significance of the common-law factors.”Reverting to these pre-FedEx factors, the NLRB in SuperShuttle upheld the NLRB Acting Regional Director’s decision that various franchisees operating transportation vehicles were independent contractors rather than employees since there was limited employer control over the method of work and significant entrepreneurial opportunity afforded to the workers. Thus, in the span of five years, the NLRB’s worker-classification analysis shifted from one of economic reality, to one of economic dependency, and then back again.This administrative uncertainty not only creates compliance issues for employers when classifying workers, it also places workers in legal limbo regarding their status and coverage under the NLRA. The need for consistent worker-classification analyses and interpretation is paramount in the modern workforce. Administrative determinations are inherently tied to the policy priorities of the executive branch. However, such rapid turnover in the law between presidential administrations not only creates compliance issues for employers and workers, but increases the threat of further legal disruption once a new administration takes the reins of the NLRB. Therefore, it is imperative to explore new ways for the NLRB to create a consistent worker-classification test that balances legal precedent but also embraces new concerns in the gig economy. Through rulemaking, the NLRB may be able to better balance these interests rather than relying upon constant interference when new board majorities assume control. The prospect of solving the worker-classification debate via rulemaking might be gaining traction with some on the Board. If the NLRB were to move forward and provide clarity on worker-classification, workers and employers alike will surely present competing reactions, especially if the current common law test were to be used as a basis for classification. There are several positives for both employers and workers if the NLRB utilized more formal rules for worker-classification. The rules would promote stability and consistency within the classification analysis. The flip from pre-FedEx, to the FedEx standard, and then back again under SuperShuttle, would no longer occur. Employers could effectively plan and be aware of NLRA obligations while workers would be able to better know where they stand if they want to challenge their classification. There are some trade-offs if the NLRB were to solely rely on rulemaking. 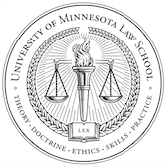 While the constant back-and-forth increases compliance uncertainty, the case-by-case determinations allows the NLRB to engage each case individually based on the case’s unique facts rather than through a general determination. Additionally, with the growing gig economy, there is a risk that a general rule will leave many workers without sufficient protections of the NLRA as Congress and courts struggle to adapt New Deal Era legislation with the modern economy. The pros and cons for a more consistent interpretation of worker classification under the NLRA are abundant. However, interests of both employers and workers might be better balanced through rulemaking protections rather than the current, and often political, back-and-forth within the NLRB. No solution is problem free. However, the economic futures for both workers and employers should turn on clear and consistent determinations of law rather than on who happens to sit in the NLRB boardroom.